Converting documents around the office can feel like a bit of alphabet soup. PDF, TIFF, JPEG, DOC… for those who aren’t familiar with the intricacies of file formats, which formats are best for which tasks, and how to go about converting them, it can certainly cause some confusion. If you fall into that group, this guide is for you. Why is document conversion necessary? Will the client be able to view it on their computer? Will they see the formatting the same way that I do? For these reasons and more, document conversion (also known as file conversion) is sometimes necessary. With that in mind, let’s take a look at some of the more common document conversions you might run into at the office, and how to go about converting those files. PDF stands for portable document format, and it is one of the most common file formats around in the modern business environment. A PDF is usually opened and read with a program like Adobe’s Acrobat Reader, and can be easily created with Peernet’s own PDF Creator Plus. While PDF is a versatile format, appropriate for many uses around the office, some companies make use of the TIFF file format. TIFF is actually an image format, originally designed specifically to handle scanned documents. There are several ways to convert PDF to TIFF, but the simplest and most cost-effective way for many small and medium-sized businesses is to make use of TIFF Image Printer. This piece of software (which will come up again during this piece) allows for quick and easy conversions to TIFF, from PDF, and a huge range of other file formats. Best of all, it’s really simple to use; as easy as printing out a paper document. PDF is one of the most common document formats used in modern computing, while JPG is probably the most common image format used on the modern web. Naturally, you might run into cases where you need to convert one to the other. Those reasons for converting PDF to JPG could be any number of things; for example, maybe you have a page of a document that you want to display on your company’s website, but don’t want to ask visitors to download the whole PDF document. For individuals or small to medium-sized business users, your best bet is likely by making use of Raster Image Printer. Larger organizations or users with the need to regularly make this conversion may get more use out of software such as Document Conversion Service 3.0. Spreadsheets built in Excel can be a tremendously useful business tool. But for one reason or another, you may not want to share an entire spreadsheet with a client or colleague. Maybe you want to keep the reader focused on relevant parts of the spreadsheet or charts. Perhaps other parts of the spreadsheet contain sensitive data. Maybe the spreadsheet contains lots of extraneous information. Maybe you know that the user is on a device that does not deal with the Excel format well. Use PDF Creator Plus to easily convert Excel files to searchable PDFs. This can be useful if you want to merge your Excel conversions with other formats such as Microsoft Word, PowerPoint, or others, to combine them into a custom PDF output. Need to create non-searchable and non-editable PDF files? PDF Image Printer allows you to easily create high quality and small size files when converting from Excel to PDF. Use Convert to PDF to create high quality and searchable PDF files – a conversion wizard guides you through the process and makes it really easy; you can also save your settings for future conversions. Converting JPG to TIFF (sometimes denoted as JPEG to TIFF) can be a useful conversion if your company is already making use of the TIFF file format for your corporate record keeping or client information. For example, perhaps a photograph from a client needs to be archived, or they sent send you a photo from their digital camera of a receipt. In those types of instances, it may be necessary to convert the JPG image to TIFF, which is a higher quality and lossless format. If such a need arises, you can use TIFF Image Printer to easily carry out the conversion in a matter of seconds. For more info, see our easy-to-follow guide on how to convert JPG to TIFF. Because of these factors, page breaks can become non sensical. The solution to this issue is to always convert your Word files to PDF before sending them off to a client. Peernet offers a variety of solutions to carry this out. Use PDF Creator Plus to convert Word files to searchable PDFs, quickly and easily. This piece of software allows for you to merge your Word conversions with other formats such as Microsoft Excel, PowerPoint, or others, to combine them into a custom PDF output. Need to create non-searchable and non-editable PDF files? PDF Image Printer allows you to easily create high quality and small size files when converting from Word to PDF. Microsoft Publisher is a tool used in the desktop publishing industry. It’s generally used for page layout, and offers more flexibility in terms of design considerations than a standard Microsoft Word document. If you work with Publisher, however, you know that it can be problematic to share designs with clients who do not have Publisher installed on their own machines. The solution to this is to convert PUB to PDF. The simplest way to do this is probably with Peernet’s Convert to PDF piece of software. You simply go to print your PUB file, and select PDF Creator Plus as your printer option. 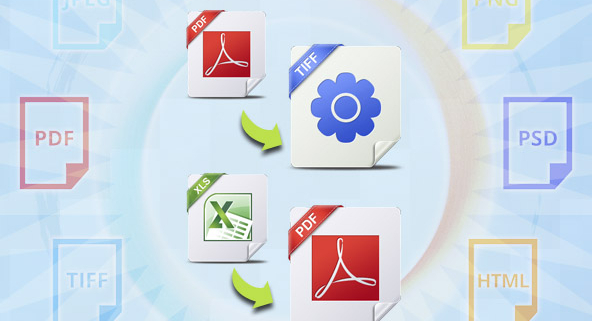 Once the files are outputted, you just click “Create PDF” within PDF Creator Plus to finalize the saving of your file. For more information, please see our guide here on How to Convert PUB to PDF. On occasion, you may need to convert a Microsoft Word file to a JPEG image. Perhaps you need it in that format to easily insert into another document, brochure, pamphlet, etc. ; or, maybe you need to display a particularly-formatted composition on your website. Whatever the case, Raster Image Printer makes Word (.doc) to JPG file conversion as easy as printing a document. Converting dozens, or hundreds of files to PDF or TIFF format can be cumbersome, especially if you’re a small, medium sized, or even large organization with limited time and resources. There are a few options available to you. A program such as File Conversion Center is an ideal time-saving desktop application that nicely fits the needs of many organizations. It’s able to convert files from Microsoft Office formats (Word, Excel, PPT, etc. ), web pages, and more to PDF (as well as TIFF and JPEG). Conversion is easy and the flexibility and control offered is unmatched. For an even more automated approach, for companies needing a high volume PDF Conversion tool, there is our Document Conversion Service (DCS). This software is commonly used for not only batch PDF conversion, but other popular conversions such as PDF to TIFF, PDF to JPEG, Word to TIFF, Word to JPEG, Excel to TIFF, Excel to JPEG, and a whole lot more. And the new edition of Document Conversion Service, version 3.0 introduces vector (searchable) PDF creation, so operations like Word to PDF, Excel to PDF, Publisher to PDF, Visio to PDF, and a wide range of others are now supported. This makes DCS an even more attractive option for enterprise-level companies who have a consistent need for file conversions across their organization, as well as any business whose operations depend on automated, batch file conversion. As you’ve seen throughout this article, there are a wide range of different software options for converting files, and the best software for your file conversion needs may depend on factors such as your industry, the size of your organization, and the types of conversions you need to regularly process. So in essence, the best document conversion software will be unique to your specific conditions and needs. One final note on software conversion, however: if you are a small to medium-sized company, looking for a solution for converting documents to all three of JPEG, TIFF and PDF, consider Raster Image Printer. As mentioned in the Word to JPEG conversion, it easily converts any printable Windows document on demand, combining our PDF Image Printer and TIFF Image Printer into one simple package. It also allows on-demand conversion to image formats such as GIF, PNG, and a range of others. If you need the functionality to convert to multiple formats, but don’t require the power and flexibility of a full-feature enterprise product like Document Conversion Service or File Conversion Center, Raster Image Printer is an excellent middle ground. If you didn’t find the answer on how to do a specific file conversion here, please watch the video below to assess which document conversion software might be right for your needs. And of course, if you need some guidance in selecting a product, we’re always happy to help. Contact us with your inquiries.